Active Nation Day came and went Sunday…. so tell me, were you THAT girl? or THAT guy? You know the one who got out there and did something? It could be big or small, miles upon miles or a walk with your kids (or in my case a 2 mile run with Stella)… well, I hope you did it and if it was your first day getting out there to do something, I hope it continues – what do they say? … oh yea! 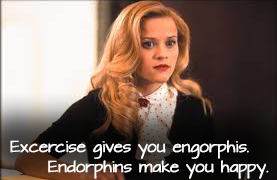 It takes 21 days to create a new habit and I think the Lorna Jane Active Nation Day campaign is a great way to get started if you are just starting, remind yourself that it may be off-season but you shouldn’t completely shut off all your hard work this season, or even remind us that a lazy Sunday needs a little pick me up – remember what Elle Woods said? What do you know about Active Nation Day? I know I learned A LOT this year about it so I think it’s always important to know where something started so you can join in the movement and sound like a pro! Active Nation Day was a movement started in 2012 by Lorna Jane. Since then sporty sisters (and brothers) have united to move almost 5 MILLION MILES (or 8 million km) – that’s a lot of shaking and grooving if you ask me! The coolest part about this movement is you can track your success in an amazing little app – best part is, it’s free! Seriously, I have had a few fitness apps on my iPhone and this one speaks to me a little more, maybe it’s that I have the ability to see a positive message, track my daily fitness, and see some tasty recipes, seriously you have to try it out! 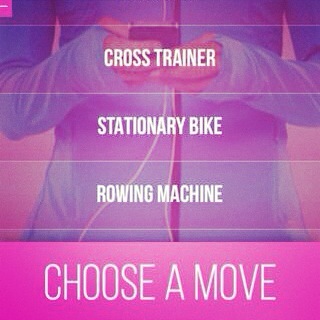 There’s so many options for tracking your fitness on the Lorna Jane App! Lorna Jane also has an adorable bracelet… now I know I’m pretty active but the best part is, now that it’s off season, I can use this as a reminder to get out there and do something on those off days. I love being active and I love the fact that I’m going for Ironman NUMBER 2 next year so my bracelet is serving me as a reminder that I can do it! I am worth it! And I can INSPIRE others out there! In honor of #LJMOVE and #ActiveNationDay, Lorna Jane is holding a contest… it ends today so you better get your dance moves submitted for a chance to win $1000 Lorna Jane Gift Card… details are below from the Active Nation Day web-site (http://nowmoveit.com/). “We’re moving to inspire a better, more active future. To inspire every woman, everywhere to be active every day. The Next Step Starts With You! Show us how you do your #LJMOVE for your chance to win a $1000 Lorna Jane gift card! What did you do for Active Nation Day? What are you doing to make a POSTIVE IMPACT on YOUR life? I’d love to hear from you! And remember… be the best you can be! WE’RE IN! Ironman Texas 2015!